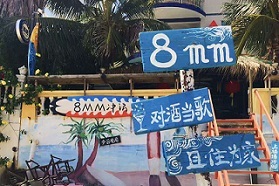 Eight Millimeters/8MM Inn on Houhai of Haitang Bay, 8-millimeter/8MM Inn on Houhai of Haitang Bay, near by Wuzhizhou Islet, Eight Millimeters/8MM Surfing Club on Houhai of Haitang Bay, Houhai Eight Millimeters/8MM Surfing Club on Haitang Bay. 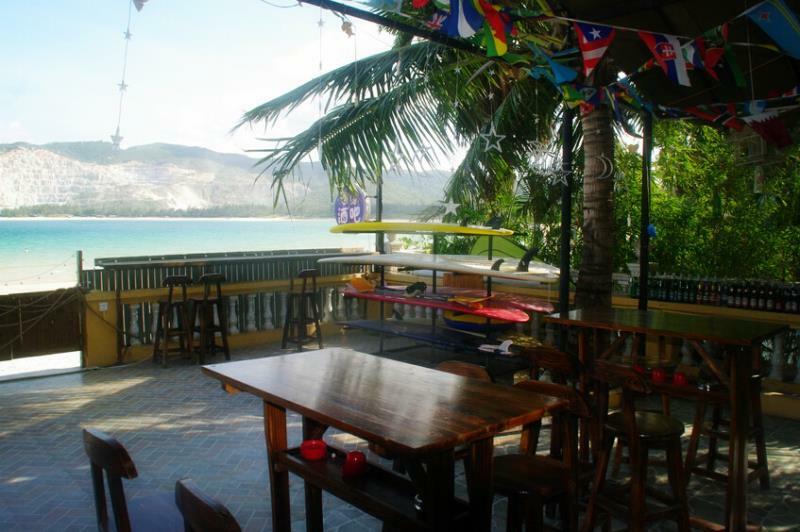 It is about 40-minute drive from Sanya Phoenix International Airport, 30-minute drive from Sanya Train Station, Dadonghai and Downtown Sanya, 15-minute from hotels on Haitang Bay and Sunny Sanya Destination Hotel Haitang Bay. 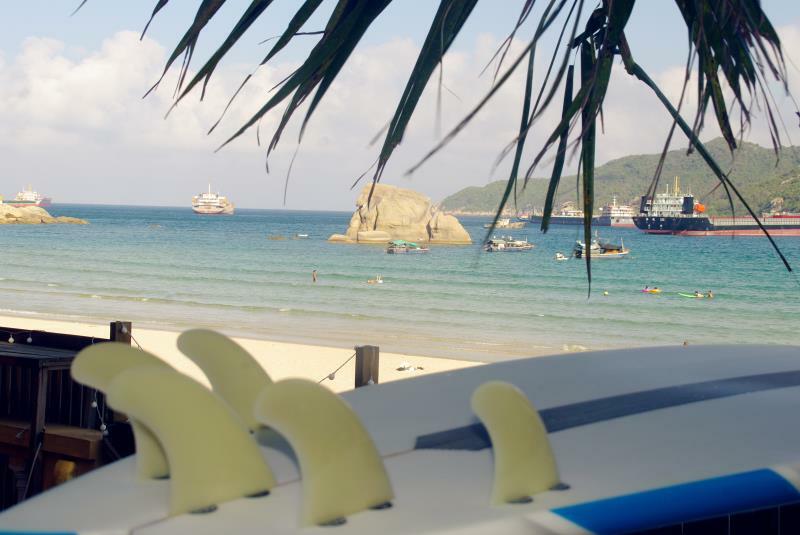 The Houhai Beach is very quiet, clean, with many surfers. By a private car: The best option is to take a private car at CNY300/way, maximum 4 persons/car from Sanya Airport or Downtown Sanya. 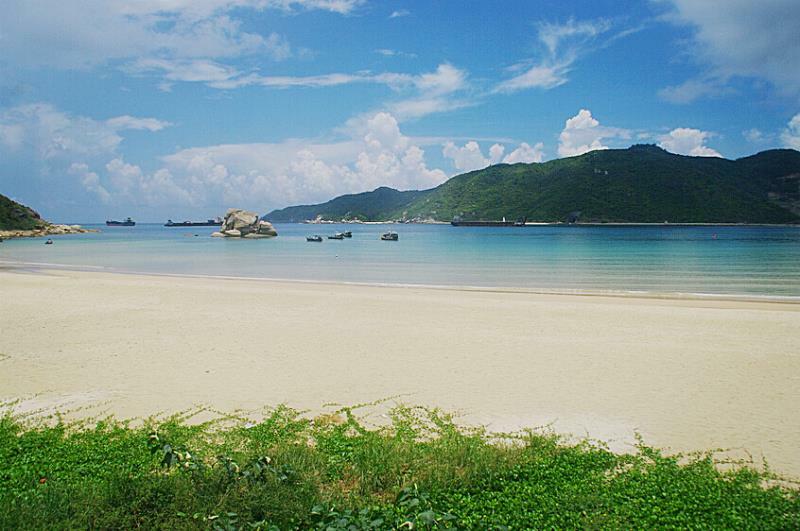 By a taxi: at CNY130/way from Sanya Airport or Downtown Sanya. 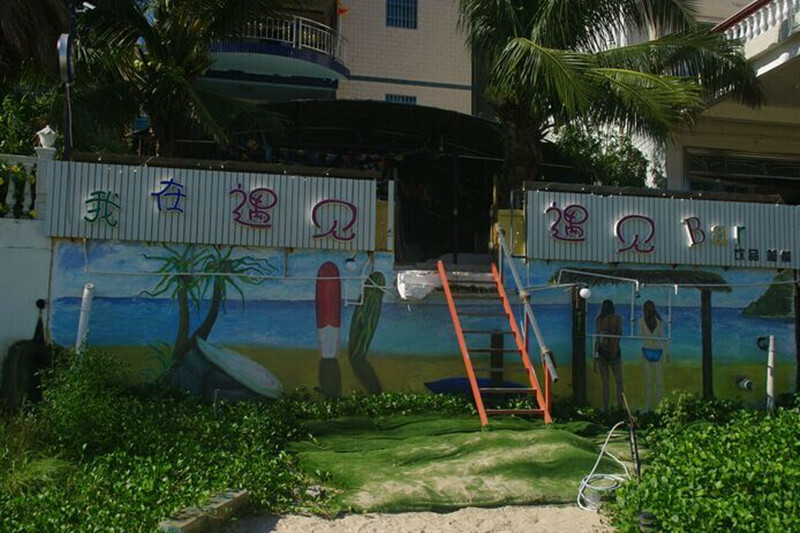 No.28: Take this bus from Downtown Sanya and drop off at Wuzhizhou Islet蜈支洲 station, then walk around 3 minutes to the beach. 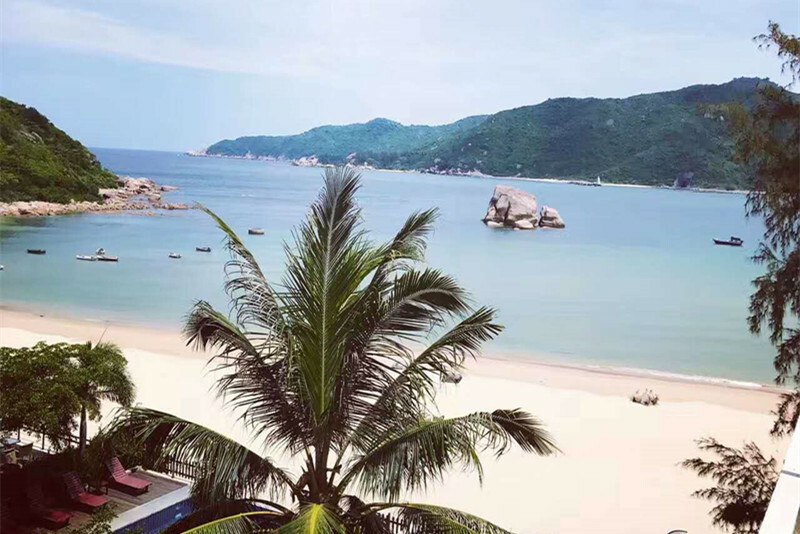 No.23: Take this bus from Downtown Sanya and drop off at Linwang Market林旺市场, then take No.1 bus to Wuzhizhou Islet蜈支洲 station, walk around 3 minutes to the beach. 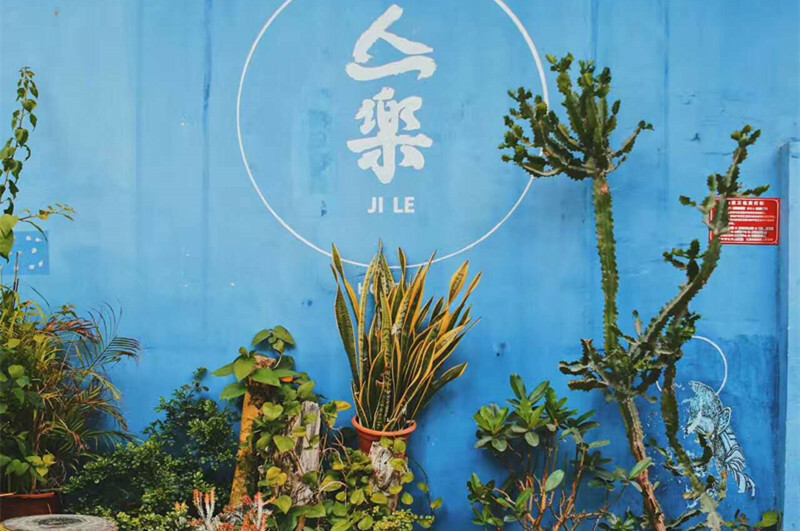 No.33: Take this bus from Sanya Airport, pass by downtown Sanya, and drop off at Lingwang Market林旺市场, then take No.1 bus to Wuzhizhou Islet蜈支洲 station, walk around 3 minutes to the beach. 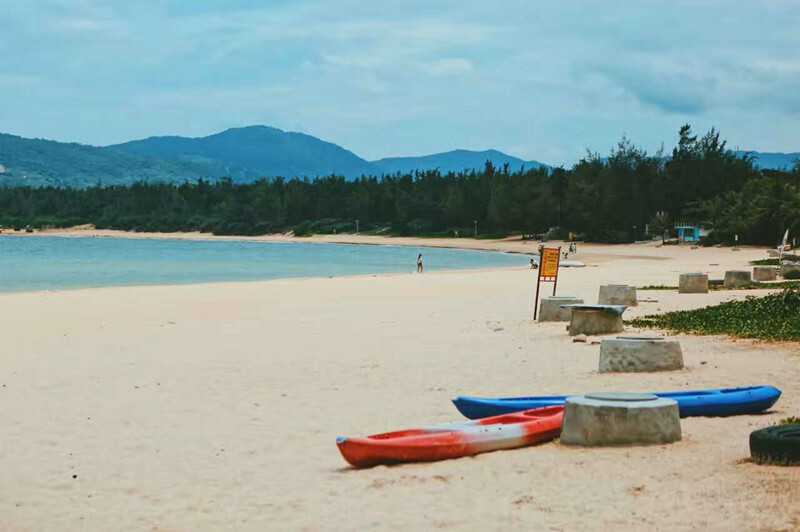 No.35: Take this bus from Sanya Train Station, then drop off at Lingwang Market林旺市场, then take No.1 bus to Wuzhizhou Islet蜈支洲 station, walk around 3 minutes to the beach. 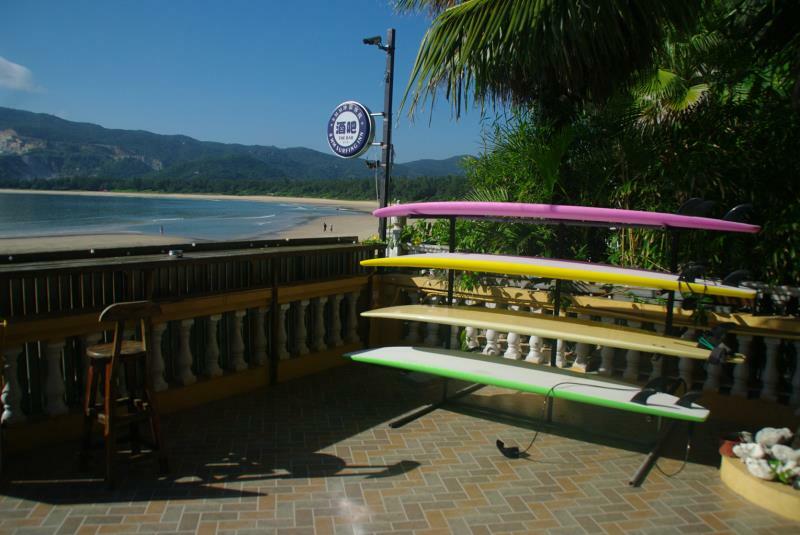 The above prices are with coach, surfboard & necessary surfing clothing. 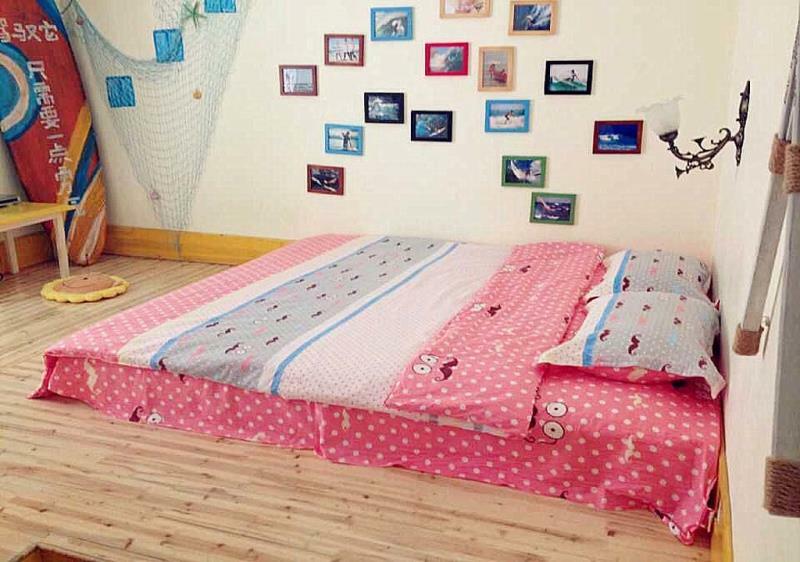 They only have six rooms in a 2-floor villa, standing right on the beach. The rate does not include breakfast.